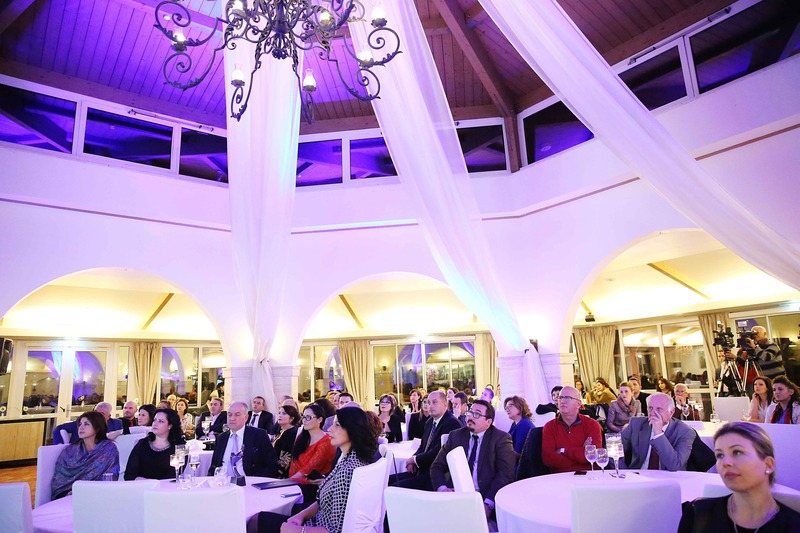 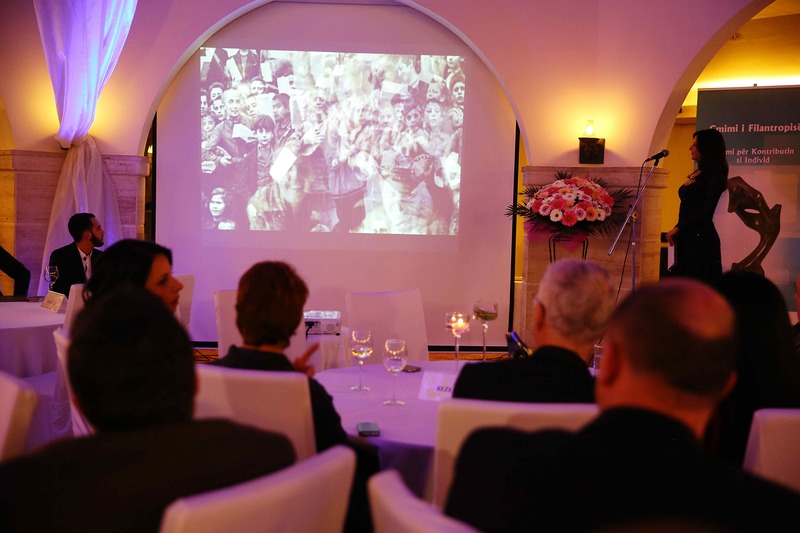 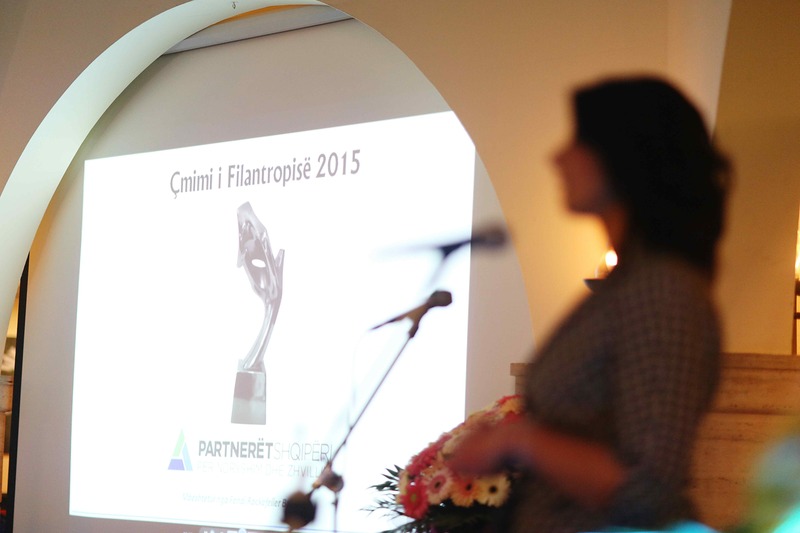 Partners Albania organized on 4 December, in the premises of Rogner Hotel in Tirana, the ceremony gala where were announced the winners of the “Philanthropy Awards 2015”. 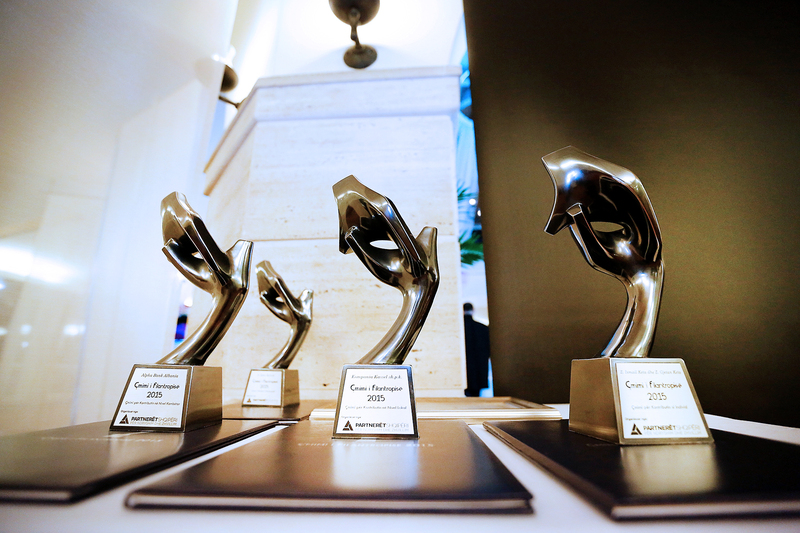 Philanthropy Award is a nationwide award, to express gratitude and appreciation to individuals and businesses that contribute to improving the quality of life in the country. 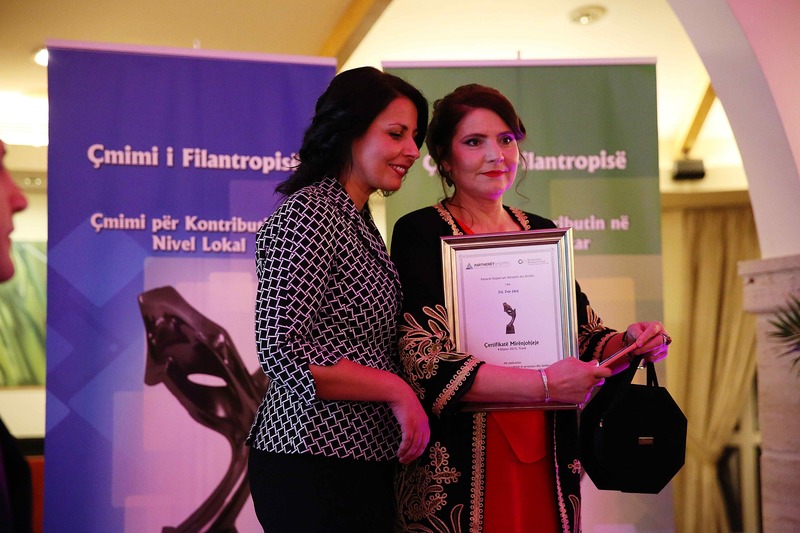 The Award for Contribution at National Level was granted to Alpha Bank Albania. 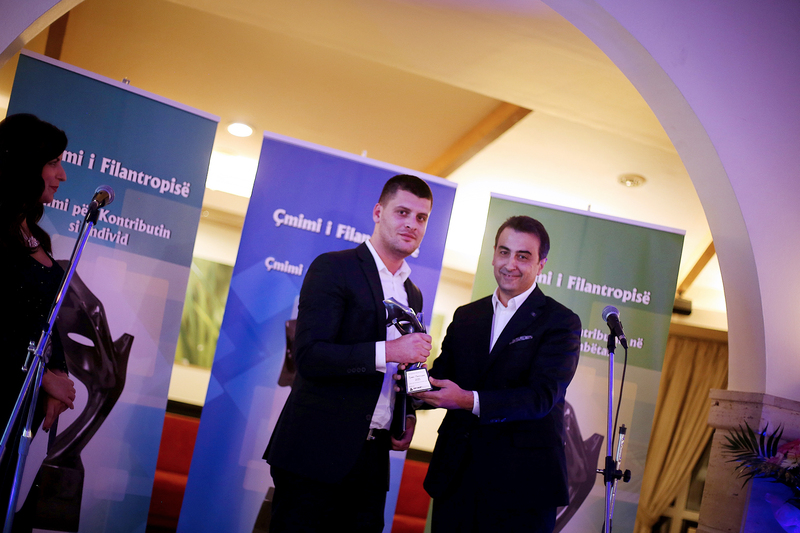 The award was given by Mr. Gent Sejko, Governor of the Bank of Albania. 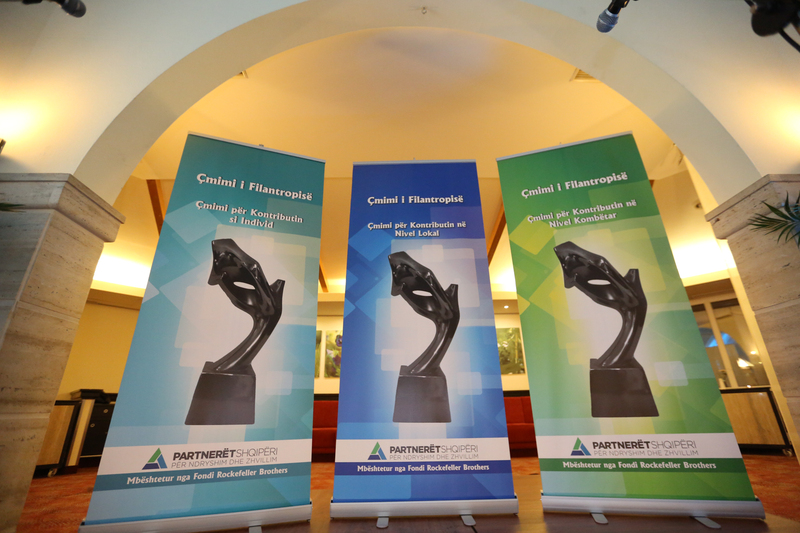 The Award for Contribution at Local Level was granted to Kassel Ltd. 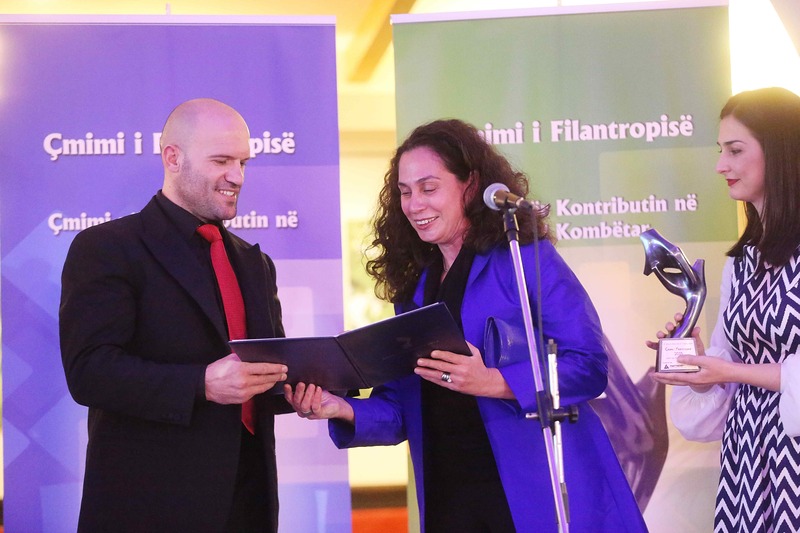 The award was given by Mr. Aldrin Dalipi, Chairman of the Municipal Council of Tirana. 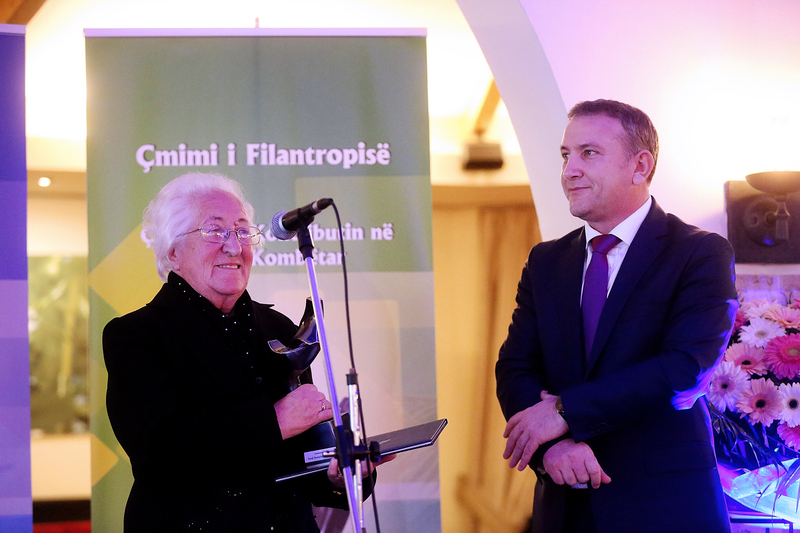 The Award for Individual Contribution was granted to Mr.Ismail Keta and Mr. Gjetan Keta. 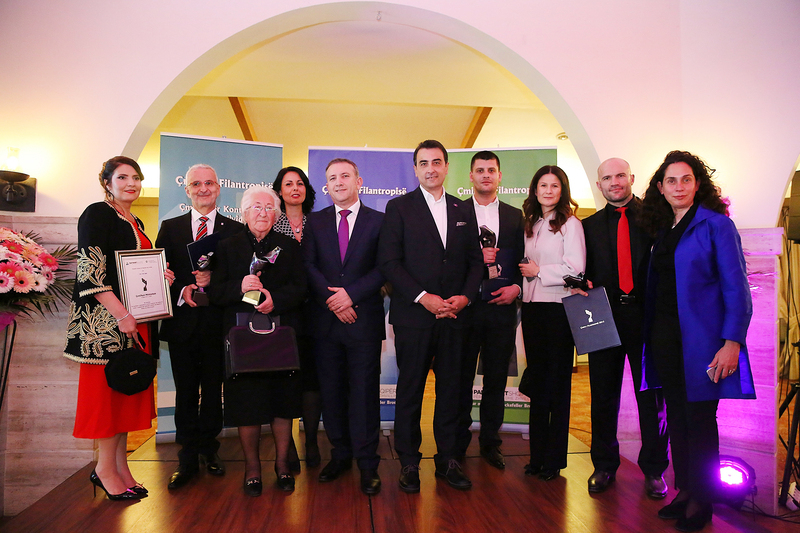 The award was given by Ms.Yesim M. Oruc, UNDP Resident Representative a.i. 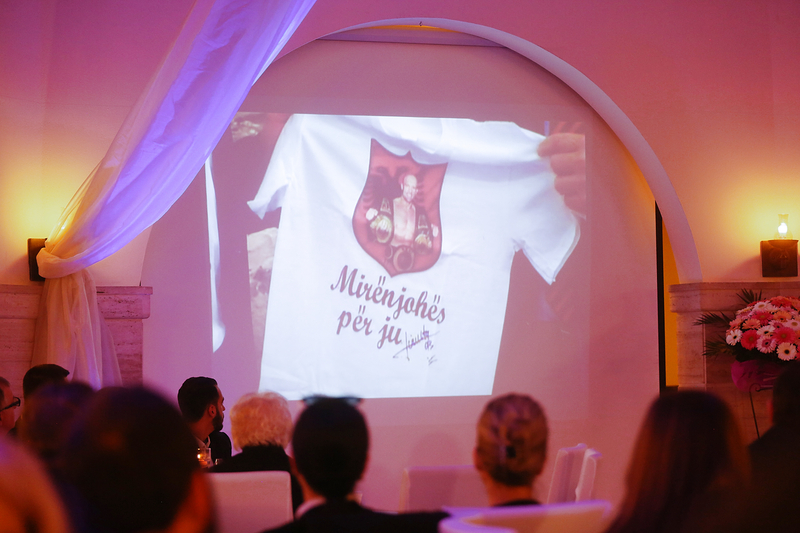 Special Award “Pioneer of Philanthropy” was granted to Mr. Zyber Hallulli (posthumously). 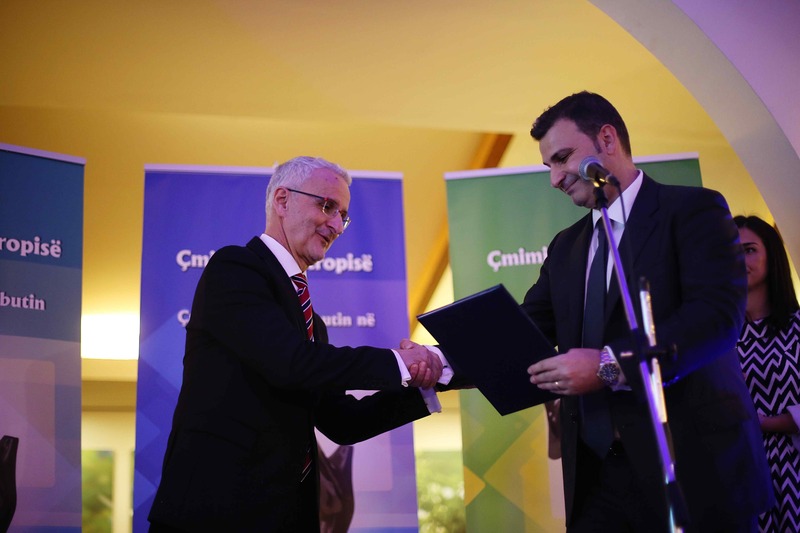 The award was given by Mr. Sadi Vorpsi, Prefect of Tirana. 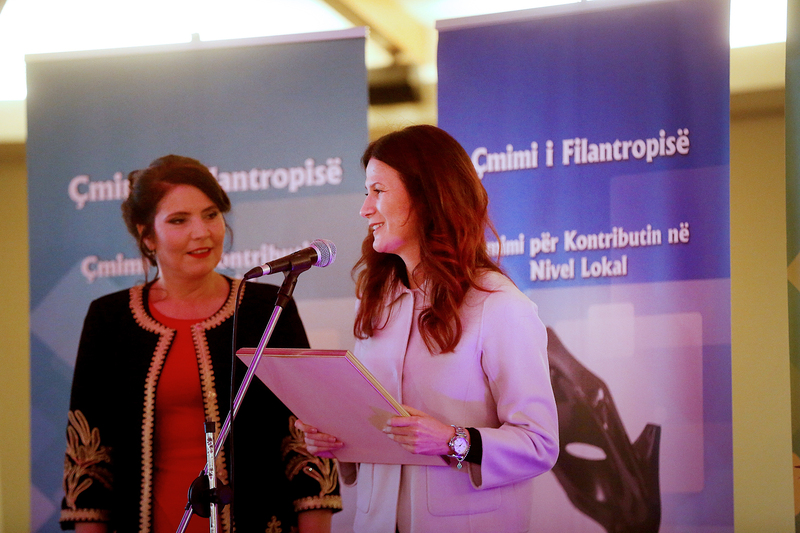 Certificate of Appreciation was granted to Ms. Zoje Jakaj. 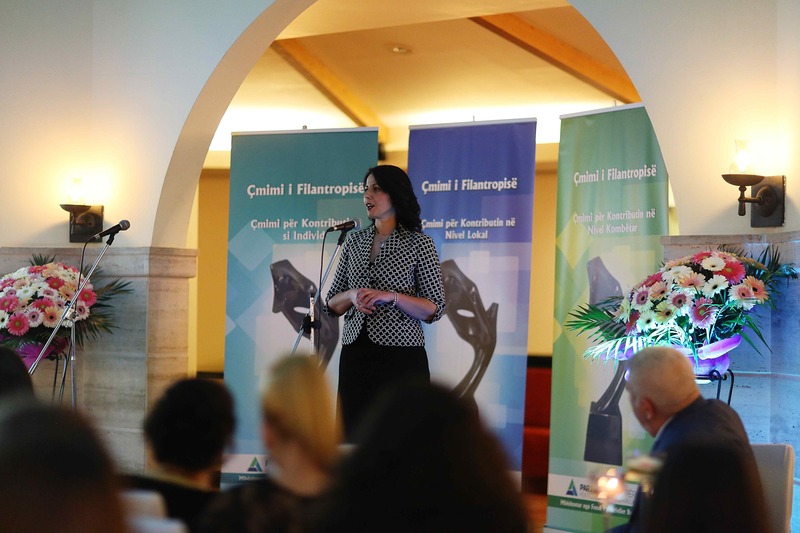 The award was given by Ms. Ornela Bego, Manager of Corporate Affairs at Telekom Albania.